Looking for Luscious Long Hair? Try our LOX Hair Extensions today! LOX hair extensions are wonderful for adding length and volume. The hair is matched perfectly with your own, both in color and texture. LOX uses the highest quality 100% Human Hair available. 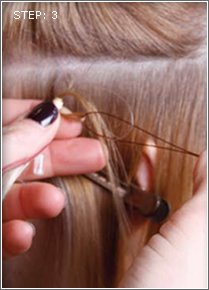 Hair extensions are not only used to lengthen your hair, a fuller look can also be achieved. 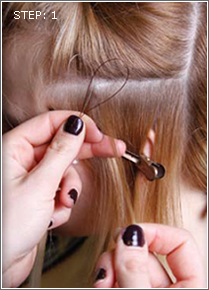 Our extensions method is the safest method for attaching hair and is safe for all hair types. There is absolutely no harm to your own hair during installation or removal. Finally... there is no heat, no glue, no sewing, no braiding and no mess! So be sure to make your appointment today with Hannah Wendt, our certified LOX technician. The Basement Salon has relocated! Spring is here...and so is our best Keratin Treatment!